Whether you’re selling for the first time or you are experienced, selling a house is a financial and emotional decision that requires the experience and support of a team of reliable professionals. At Pacific Home Brokers™ we guide our clients through a streamlined process and help you sell your home quickly and for the highest price. We can also help you locate your new home! Home selling has become more complex than in the past. New seller disclosure statements, longer escrows, numerous form agreements, and a range of environmental concerns have all emerged in the past decade. 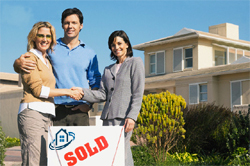 Pacific Home Brokers™ agents will help you navigate the contracts and prepare your home for sale. In the maze of forms, financing, inspections, marketing, pricing, and negotiating, it makes sense to work with professionals who know the community and much more. Those professionals are the local agents who serve your area. Pacific Home Brokersó has agents state wide who specialize in their local area, are trained in negotiations, and the new laws to benefit our clients. Several factors, including market conditions and interest rates, will determine how much you can get for your home. In other words, home selling is part art, part science, part marketing, and part negotiation.Our agents know how to price homes to sell quickly and to maximize your return. Your agent will share a marketing plan with you. The more you know about the process of selling your home the easier it is to facilitate the sale of the home. Your agent will help you decipher the offers that are presented and help you determine which buyer is most likely to close on the contract and get you the best return on your home. Pacific Home Brokers agents will also negotiate for better terms that benefit you during the escrow. When you have a signed contract with the buyer for your home, you may feel as if you can breathe a sigh of relief. Your Pacific Home Brokers™ agent will educate you about the process of selling your home and keep you informed during the process. Pacific Home Brokers™ will help you find a suitable home that meets your needs so that you have piece of mind while going through the escrow process. You will know you will have a new home to go to that you can make your own. While in escrow Pacific Home Brokers™ will help you through the activities that are required to sell your home which can actually help with the moving process. Your Pacific Home Brokers agent will ensure that everything is in order with the settlement of your funds and keep the closing date on schedule so you can plan your move to your new home.